Stay cool this summer with this popular cap, featuring a breathable material on its back. This special type of hi-tech mesh adds to the durability of the cap while also improving airflow, making this a comfortable cap to wear even in the hottest weather. This breathable mesh net that comes in black or white. This six-panel structured baseball cap also features a pre-curved peak. On the back of this cap, you can find a short touch strap that will allow you to adjust the cap comfortably to most head sizes. These colourful, breathable caps are great for a wide range of promotions and events. They make great giveaways or door prizes at conferences and trade shows, or first-rate promotional sales items for charity events. Because they are so comfortable in warm weather, they make great uniform accessories for organisations that operate in hotter climates. All products include 8000 stitches of embroidery included in the listed price. Other branding options are available -- ask our sales staff for pricing. This cap can be used for clubs, sports teams and organizations that conduct outdoor activities. 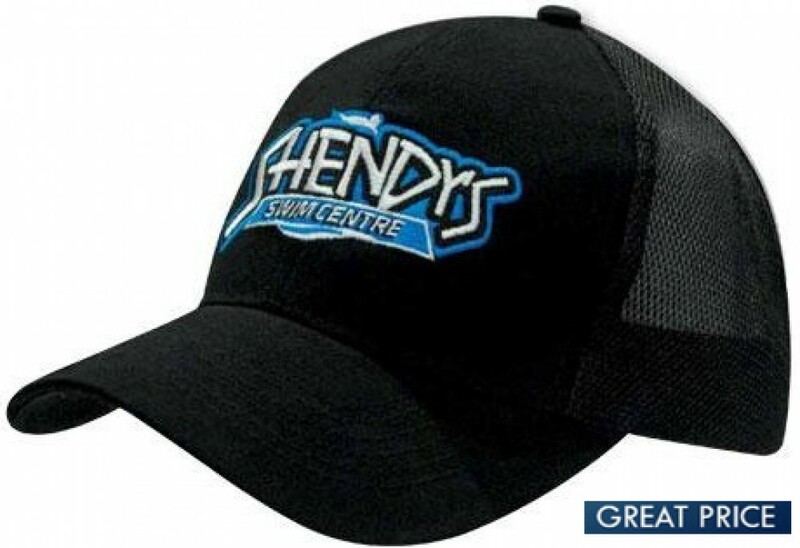 For custom branding, your artwork for the cap has to be supplied in eps, pdf or high resolution jpeg. The price excludes Goods and Service Tax. It is stocked in Australia for fast 1 week delivery.